I spent a significant chunk of my Friday afternoon cleaning out the furnace room in my home. In the past, it’s doubled as my grow room, the place where I start seedlings and pot up plants when the weather is less than ideal outside. In the past year or so, it’s also seemingly become our junk room and triage area. It had become so filled with stuff that I was having a hard time imagining how I would ever be productive in the space again. I quickly went to work taking out bins and labeling them so I could organize the space accordingly. The finished area is now free of clutter and ready for seed starting. As a gardener on a budget, I find it incredibly important to carefully plan and think of all garden-related things in advance. The better I plan, the less likely it is that I’ll make uninformed impulse purchases down the road. Prepping and thinking about the 2019 gardening season now means that I can adequately budget and think of penny-pinching solutions to any problems I run into. Frugal gardening isn’t difficult, but it requires a bit more foresight. What to Think About Now? Seed inventory – Is there anything I need to think about replenishing? Can I swap seeds with a fellow gardener to save money? Is this a variety that did well in the recent growing season? Seed starting supplies – Can I repurpose anything from last year? Are there products that were not worth the price tag? Do I know anyone with a surplus of pots and trays that might want to make a trade? Are there any sales online for this stuff? Seed starting setup – Having my setup ready in advance means that there won’t be any delays. Starting too late or not having everything prepped may end in missed planting dates. 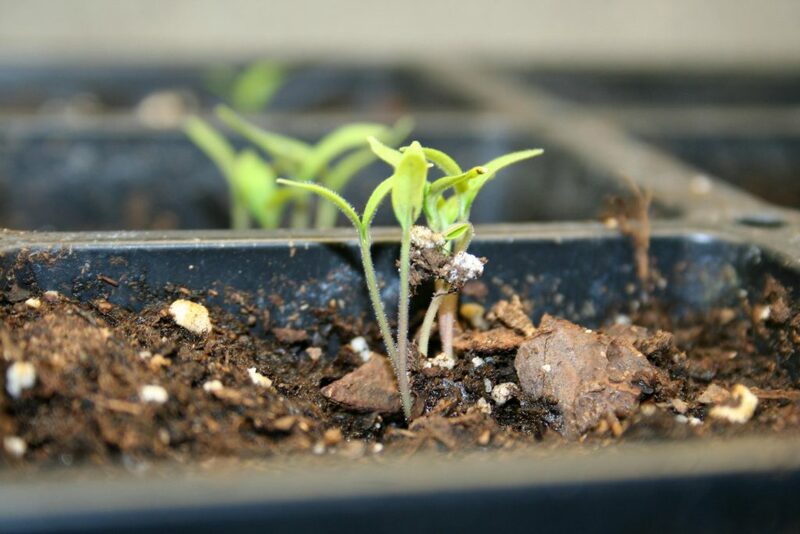 When the seed starting process is disorganized, you might find yourself more likely to spend extra money on starts in the spring. And boy does it add up! Plan ahead. It’s worth it. Trust me. You can make more intelligent purchases and avoid small buys that might cost an arm and a leg in shipping. You’ll be more likely to take time to look for deals instead of rushing to get your supplies at the last minute. Procrastination only causes stress, so avoid it like the plague!